‘Pay per click’ is a buzz word you may have seen across the web. Pay per click means that a website has a program in effect that has the potential to make money every time someone visits their page and clicks on a vendor link. Pay per click is an extension of a program that is not unlike affiliate marketing programs. One of the most recognizable and famous affiliate programs in the world is probably Amazon. An affiliate can have an Amazon link on their website and they get a kick-back from every item sold that was reached via their own link to Amazon.Earn High Payouts with Web Hosting Affiliate Rewards Affiliate web hosting programs are a unique way of not only networking with users who need web hosting services and plans but also a way to make money from your own website. When you host with certain web hosting companies they generally offer an affiliate link on the website where you can sign up as a web hosting provider affiliate. An affiliate program member only has to place a banner and a tracking link on their site and whenever a site user or visitor clicks on the banner and orders a hosting service then the affiliate program member gets a financial reward. This is known as a payout for the resulting completed purchase generated from the visit.Some sites promote food and drink, others promote computer and web services while others promote music and movies. 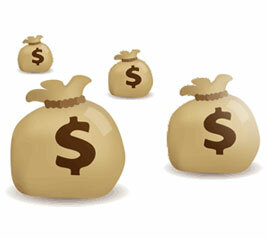 If you are interested in promoting a product or service and being paid out for your efforts then become an affiliate. You can actually find online libraries of affiliate programs available if you want to learn more about joining programs that reward you.It won’t make you an overnight millionaire but, over time it can certainly give you a good second or even first income, if you are willing to put in the hours. Affiliate marketing has grown particularly fast because it is easy and takes very little effort. Once you post your affiliate program banner and add the tracking link on your website then you only need to sit back and watch your profits roll into your accounts.Focal Points If you have a website that is specifically subject based, like a website that concentrates on technology, you might like to have a link to a web hosting company or a technology related products site. When you can effectively cross market your website and products then you can expect to see a continual improvement in your affiliate market earnings.Become an affiliate member at JaguarPC and earn some of the highest payouts in the web hosting industry.